Belgian side K.A.A. Gent host Tottenham in a Europe League Round of 32 matchup on Thursday. The match will take place at Gent's Ghelamco Arena, while the second leg will be in London. Gent sits eighth in the Belgian First Division A and qualified for the Europa League knockout stage by finishing second in Group H to Shakhtar Donetsk. Tottenham is in third in the English Premier League. The Spurs finished third in Group E of the Champions League, which qualified them for the Europa League knockout stage. 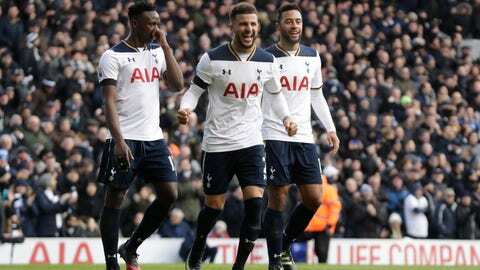 Both teams are coming off losses; Gent fell a 1-0 to Eupen in its last outing, and Tottenham lost 2-0 to Liverpool on Saturday. Live stream: You can watch K.A.A Gent-Tottenham and other live soccer matches on Fubo TV. Sign up now for a free 24–hour trial.